Spotting Fluid is also known as Pipe Free or Stuck Pipe Agent which is liquid containing a long chain fatty acid compound blend of surface active agent, surfactant and wall cake cracking material formulated to serve as water in oil emulsifier and oil wetting agents. It is used to release differential stuck pipe in an easy and effective manner. It is Thermally Stable. It penetrates and dehydrates the wall cake.It improves lubricity, reducing contact between the pipe and wall.It is compatible with fresh and salt water Drilling Fluids and can be added in active mud system without adversely affecting other properties. Find the right product and get benefit. CHEM FERT CHEMCIALS was built up in the year 2016 essentially with the goal of providing complete bundle of mud chemicals required by the Drilling Fluid Industry for oil and gas fields. 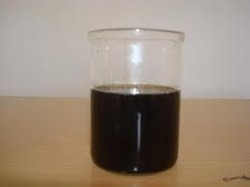 We are made a specialty for itself among the boring liquid administration organizations as a solid hotspot for Drilling Fluid Additives which they require for their Mud Fluid Systems for oil and gas investigation.